With little fanfare the Environmental Protection Agency released a new environmental rule last week that would limit sulphur dioxide pollution from power plants as part of the EPA's Cross-State Air Pollution Rule. From the Texas Tribune: The controversial oil and gas extraction technique known as hydraulic fracturing can contaminate drinking water under certain circumstances, according to a long-anticipated U.S. Environmental Protection Agency report released Tuesday. To say President-elect Donald Trump's incoming administration has public health and environmental advocates worried may be an understatement. Like a lot of Republicans, Trump wants to roll back environmental protections and some people are already protesting his positions in the streets. GALENA PARK — In this city east of Houston, petrochemical facilities are a common part of the landscape and a major engine for the local economy. But they can also be heavy emitters of what the Environmental Protection Agency labels “toxic air pollutants,” such as benzene, which have been linked to health problems like cancer, reproductive problems and birth defects. And at times, the facilities can emit huge amounts of pollution that normally wouldn't be allowed, but are exempt from rules because they happen only when facilities are starting up, shutting down or malfunctioning. Big changes could be coming for Texas power plants. The Obama administration is announcing new rules today aimed at cutting carbon dioxide emissions from power plants – the chief culprit behind global warming. The Environmental Protection Agency (EPA) wants to reduce carbon dioxide emissions from fossil fuel power plants in the U.S. by 30 percent (from their 2005 levels) by 2030. That “is equal to the emissions from powering more than half the homes in the United States for one year,” according to the EPA. In Texas, that drop will need to be even higher: the state’s carbon emissions from the power sector will need to fall 39 percent by 2030 under the proposal. Even before the President’s State of the Union Address was over last night, some environmental and renewable energy groups were sending out congratulatory emails. “We thank President Obama for his leadership” read one from the Solar Energy Industries Association. The speech outlined “clean energy solutions” said the group Environment Texas. The State of Texas and the Environmental Protection Agency have been battling over air permits for years. But now it looks like there's an official agreement between the two. This week the EPA announced its final approval of revisions to the state's permitting program for "major air pollution sources." But "final" may be something of a misnomer, because the two sides actually announced an agreement on the program way back in June. So what are the changes exactly? Under the PALS program, emissions monitoring is done on specific units at each site under an overall emissions cap, as opposed to a blanket site-wide cap with no specific unit monitoring as before. “Even though they create some flexibility for those units, they don’t allow you to cover an entire site with pollution limits,” Soward says. The EPA also says the new program requires continuous monitoring. You could call it a win for Texas officials in their ongoing battle against the Environmental Protection Agency. A federal appeals court decided this morning the EPA went beyond its authority with a cross-state air pollution rule. The rule would have clamped down on power plant pollution that affects air quality in neighboring states. It was set to go in effect in January but several states, including Texas, sued to stop it. The Obama Administration says the University of Texas at Austin's consideration of race in admitting students is constitutional. The U.S. Justice Department revealed its support in a brief filed yesterday with the U.S. Supreme Court. The Department says UT does not use race as an absolute deciding factor and that it comes into play in relatively few admission decisions. Supreme Court justices will hear arguments on the case, known as Fisher v. University of Texas at Austin in October. Abigail Fisher is challenging the university’s admission policy, claiming that she was denied admission to UT in 2008 because she is white. The U.S. Environmental Protection Agency has signaled it will likely approve changes to the state’s clean air plan. A revised plan from the Texas Commission on Environmental Quality establishes site-wide emission caps with specific monitoring at units for existing major sources of air pollution. The EPA said the proposal gives the industry more flexibility in day-to-day operations. The agency will seek public comment on the approval for 30 days before it makes a final decision. You can read more over at StateImpact Texas. Today, NPR, the Center for Public Integrity (CPI) and StateImpact launched a new series investigating air pollution and regulation across the country. The series is entitled, "Poisoned Places: Toxic Air, Neglected Communities." StateImpact has more on the project on its website. The federal Environmental Protection Agency on Thursday proposed scaling back some requirements of its cross-state rule for reducing air pollution — a rule that has incited the fury of Texas officials including Gov. Rick Perry. In a report released this morning, the Texas electric grid operator warned of "risks of outages for Texas power users" if a federal pollution rule takes effect as scheduled in January. 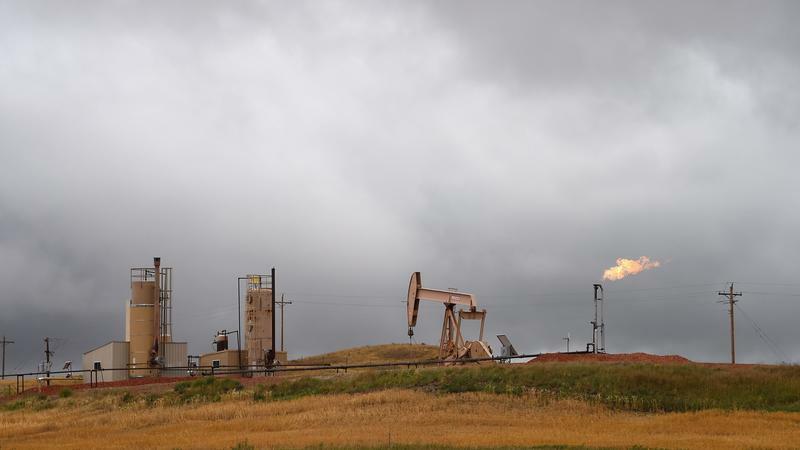 The Environmental Protection Agency proposed new air pollution rules for oil and gas production today. The regulations are the first national standards for emissions from hydraulic fracturing, or “fracking”, a controversial practice used to extract natural gas in the Barnet Shale and in South Texas, among other places. The EPA has once again delayed releasing stricter ground-level ozone standards. Those were supposed to be issued on July 29. This is the fourth time the EPA has delayed releasing exact standards. The Bush Administration set the ozone standard at 75 parts per billion in 2008 even after EPA scientists had recommended a more stringent standard. The EPA has indicated that the new standard would fall between 60 to 70 parts per billion. EPA press secretary Brendan Gilfillan issued this statement in announcing the delay. A statement issued today by Attorney General Greg Abbott says the EPA’s efforts to regulate greenhouse gas emissions by “timing” and “tailoring” are unlawful and unconstitutional. The federal government will be at work this summer on some proposals that could affect waterways you may be familiar with, including the Edwards Aquifer and Barton Springs. The US Environmental Protection Agency says Supreme Court rulings over the last decade have weakened the Clean Water Act and removed some waterways from federal protection. According to the EPA, under current Clean Water Act regulations, many small streams that feed into larger streams, rivers, bays and coastal waters are no longer protected by the Act. This means polluting into these waters doesn’t require a permit. The EPA is examining how to change those regulations to ensure waterways are protected. The Environmental Protection Agency’s rules limiting vehicle emissions are based upon a “legally flawed” conclusion that greenhouse gases are harmful to the public, the State of Texas argued in a brief filed today with the D.C. Court of Appeals on behalf of nine states and dozens of shipping and manufacturing companies.